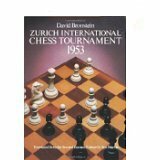 This book is one of those timeless, best ever works on chess, being a high-level look at one of the world's top tournaments. All 210 games from the greatest tournament since World War II. Smyslov, Bronstein, Keres, Reshevsky, Petrosian, 10 others; perceptive annotations by Bronstein. Algebraic notation. 352 diagrams. Double Round. (Actually written by Boris Vainstein, with Bronstein’s help. Paul Keres was forced to lose two games to Smyslov, so that Smyslov could win the tournament. 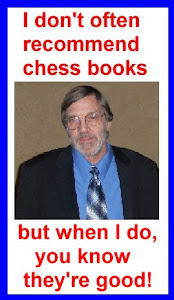 Bronstein said this was a treatise on the middlegame.